Implement appropriate interventions when clients are assessed as higher risk for foot ulcers and/or amputations. This guideline contains recommendations for Registered Nurses (RNs) and Registered Practical Nurses (RPNs). 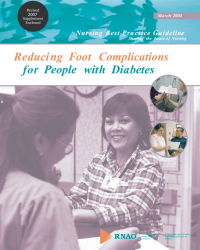 Although these guidelines are written for the nurse, reduction of foot complications in people with diabetes is an interdisciplinary and community wide endeavour. Organizational commitment and support for implementation is critical for success. Many settings have formalized interdisciplinary teams and the development panel strongly supports this structure. Collaborative assessment and planning with the client is essential. The recommendations made are not binding for nurses and should accommodate client/family wishes and local circumstances. 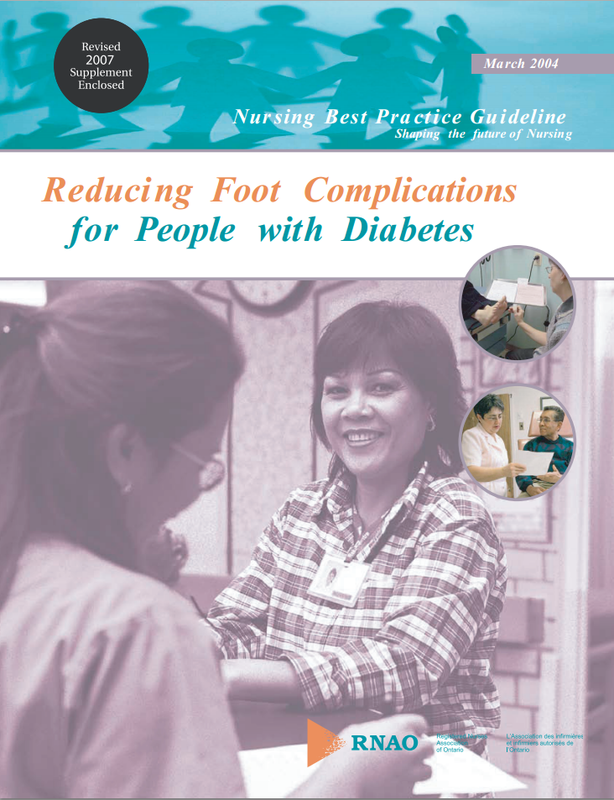 It is the intention of this guideline to identify best nursing practices to help people with diabetes reduce their risk of foot complications. It is acknowledged that individual competencies of nurses vary between nurses and across categories of nursing professionals (RPNs and RNs) and are based on knowledge, skills, attitudes and judgment enhanced over time by experience and education. It is expected that individual nurses will perform only those aspects of diabetes foot assessment and education for which they have appropriate education and experience. Further, it is expected that nurses, both RPNs and RNs, will seek consultation in instances where the client’s care needs surpass the individual nurse’s ability to act independently.